The Flesh Tearers have always held a special place in my heart. They are, by far, the most brutal of Sangunius' sons. The fact that they are barely removed from the World Eaters, but want to atone for their violence has always held my interest. 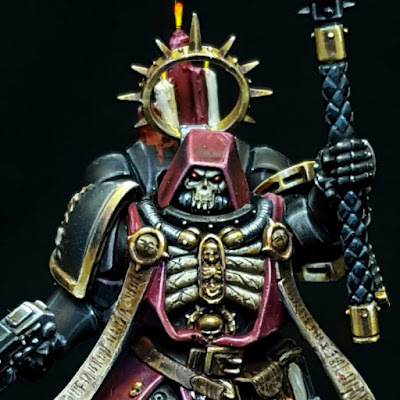 This Primaris Chaplain definitely has a Flesh Tearer's vibe without much conversion. 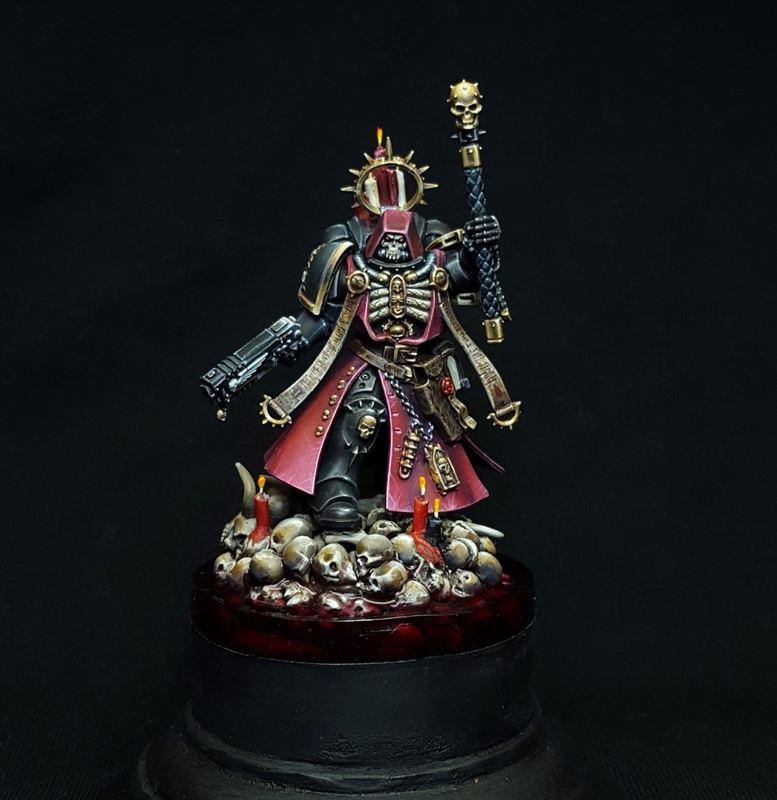 He has a very sinister vibe, above and beyond that of a normal Chaplain. The scarlet robes tie in nicely to the Chapter colors. He also has a chapter shoulder pad which you can't see in this picture. I really like how dark the robes get in parts and how nicely they transition to light. He also did a good job of differentiating texture, making the cloth feel different from the smooth armor. The reflections on the armor and non-metallic gold are great as well. Probably the nicest addition to this model though are the candles and his base. The pile of skulls in a pool of blood really hammers home the brutality of the Flesh Tearers, but it's offset a bit by the religious candles surrounding him. 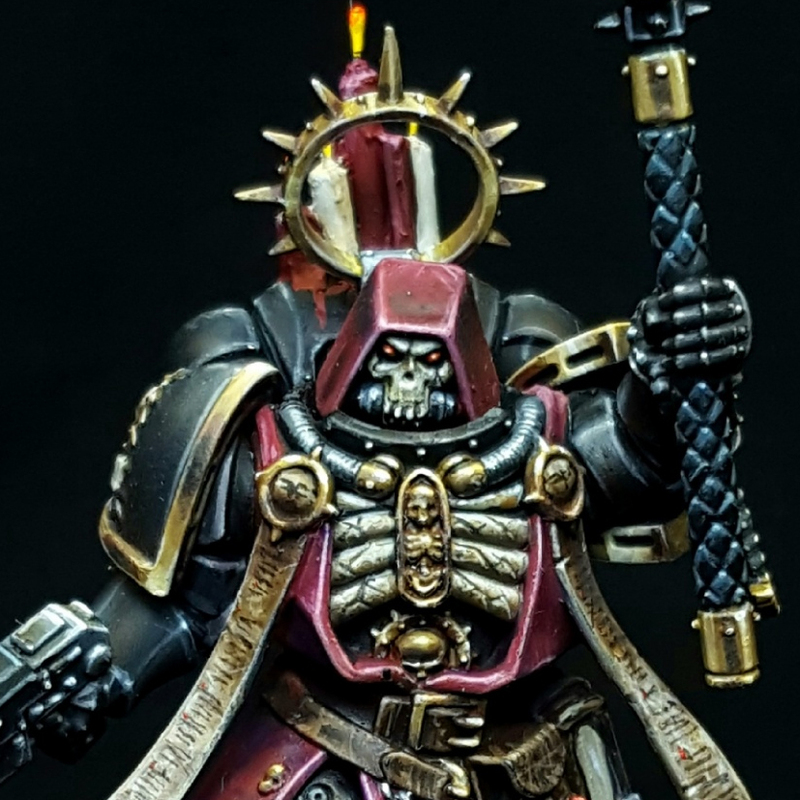 Everything about this model is really atmospheric and I think he did a great job at bringing this Chapter into the new future of 40k with the Primaris Marines.